You cannot control the genes that you inherited from your parents. Your genes determine how fast your body produces and removes LDL. Some people have familial hypercholesterolemia, a specific form of high cholesterol that is inherited. Cholesterol levels tend to rise with age. Cholesterol levels tend to rise for men at age 45. Females tend to experience higher levels of cholesterol after menopause. Being overweight or obese is associated with an increased risk of high cholesterol. Smoking can increase cholesterol. People that smoke and have high cholesterol have a greater risk for heart disease and stroke. Excessive alcohol consumption can raise cholesterol levels. A sedentary lifestyle or a lack of exercise increases the risk for high cholesterol. Certain medications, including birth control pills, estrogen, corticosteroids, some diuretics, and beta-blockers, may cause cholesterol levels to rise. 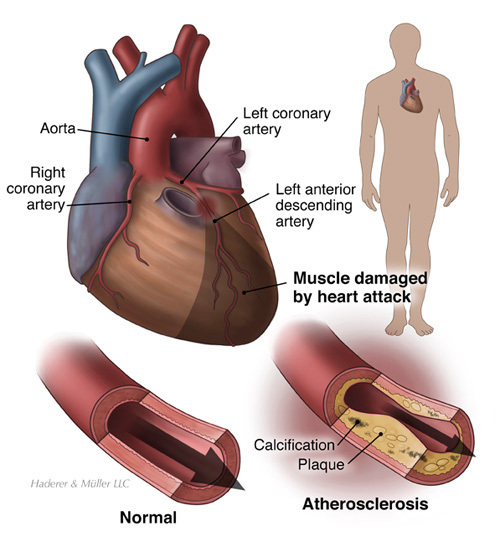 Some medical conditions, such as liver disease, diabetes, Cushing’s syndrome, kidney disease, or an underactive thyroid, may contribute to high cholesterol. Eating food that is high in cholesterol or fat can increase your risk of developing high cholesterol. Foods that come from animals have cholesterol, including meat, fish, poultry, shellfish, eggs, butter, cheese, and milk—plus products that contain these ingredients. Foods that contain saturated fats and trans fats can raise your cholesterol levels. Fats are most often found in high-cholesterol foods, margarines, baked goods, and processed foods, such as chips, crackers, and snack items.